The Annual Black Hawk Lake Summer Water Carnival is held each year on the third full weekend of July. 2018 marks the 65th Annual Water Carnival. 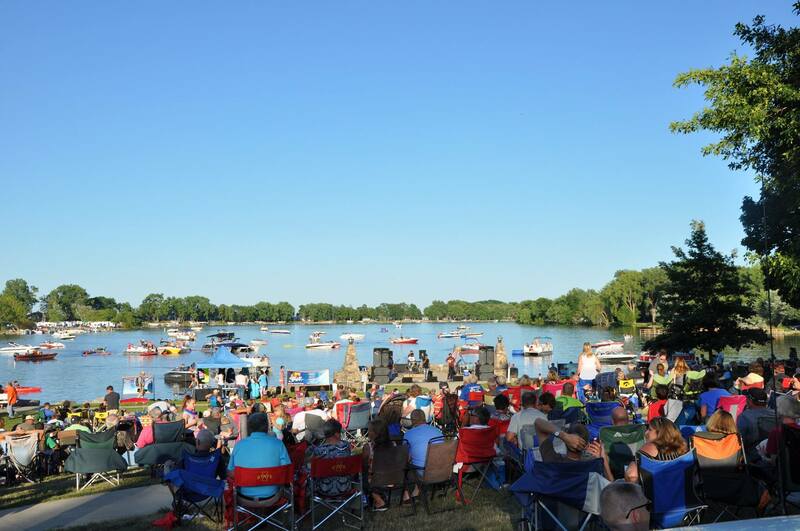 The weekend is packed with events for the entire family, many revolving around the waters of Black Hawk Lake. What started in 1952 as a small carnival with dances and boat races has grown into an annual tradition that attracts over 20,000 visitors to the shores of Black Hawk Lake. The Water Carnival offers many traditional festival activities and some that are unique to Lake View. Enjoy midway rides by McDermott Shows and local food/entertainment stands that open on Friday evening and run all weekend long. On both Saturday and Sunday, art and craft vendors display their wares at “Art in the Park” in Speaker Park. Enjoy a leisurely stroll through the park as you view the fine woodworking, metal crafting, sewing skills, and the many other talents on display all day Saturday and Sunday morning. Interested in being a vendor? Email Connie for more information. Start the perfect carnival weekend by taking in a magnificent fireworks display over the waters of Black Hawk Lake. Held on Friday night, the show dazzles visitors annually lighting up the Lake View sky. As always, there is no admission charge to enjoy the entertainment at the Black Hawk Lake Summer Water Carnival. Come join us for one of the area’s most beloved celebrations year after year!